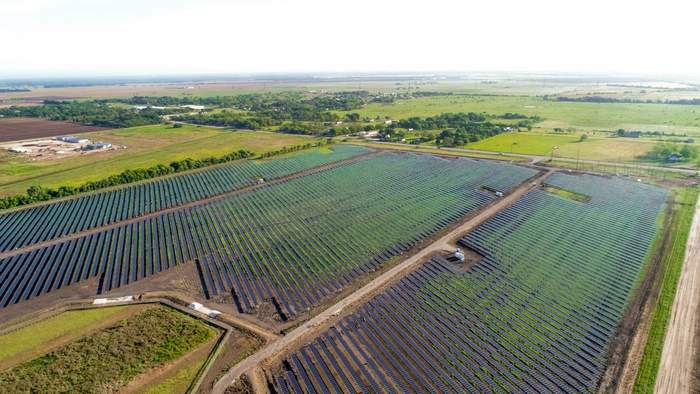 Starbucks Coffee Company, Cypress Creek Renewables and U.S. Bank are teaming up on a portfolio of solar farms across Texas. As a part of the deal, two solar farms developed, built and now operated by Cypress Creek are providing enough energy for the equivalent of 360 Starbucks stores in Lone Star State, including stores in Houston, Dallas, Fort Worth, Plano and Arlington. Not only is Starbucks continuing to lead the way in purchasing renewable energy to reduce its environmental impact, the company is also being more regionally intentional with its approach by investing in local projects to directly support the markets where it has stores. This relationship with Cypress Creek and U.S. Bank is an example of that strategic approach at work. Starbucks is separately investing in six Cypress Creek-owned solar farms in Texas, representing 50 megawatts of solar energy. In total, the portfolio of eight projects is reducing carbon emissions by an estimated 101,000 tons per year, the equivalent of planting nearly 2.5 million trees.